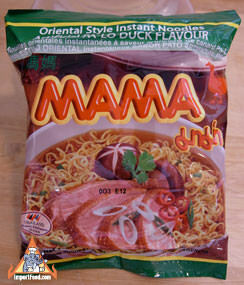 Mama makes a wide variety of popular instant noodles such as kee mao and tom yum. 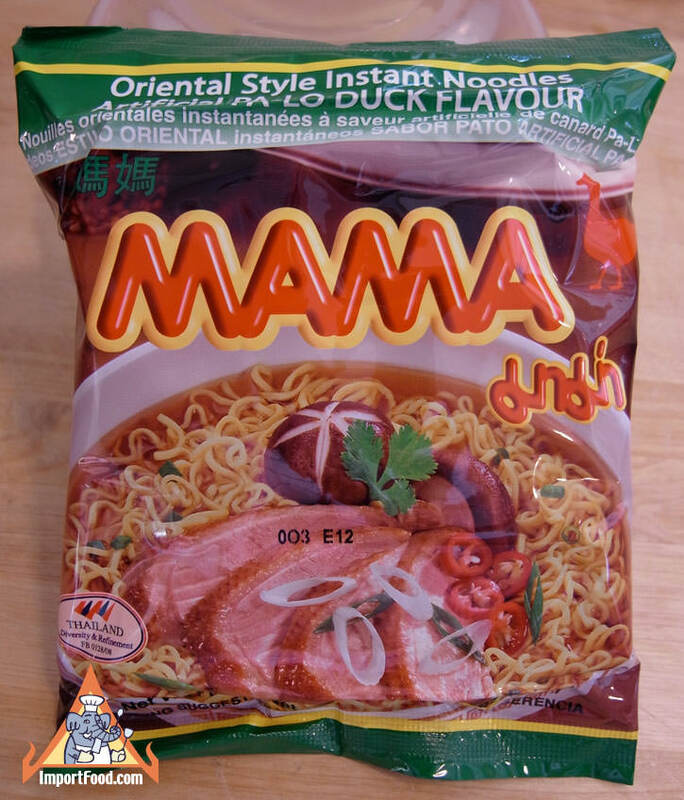 Duck flavor is a family favorite, with gentle broth flavor of anise and cinnamon. Every bowl is devoured quickly. Every package comes with three different spice packets. 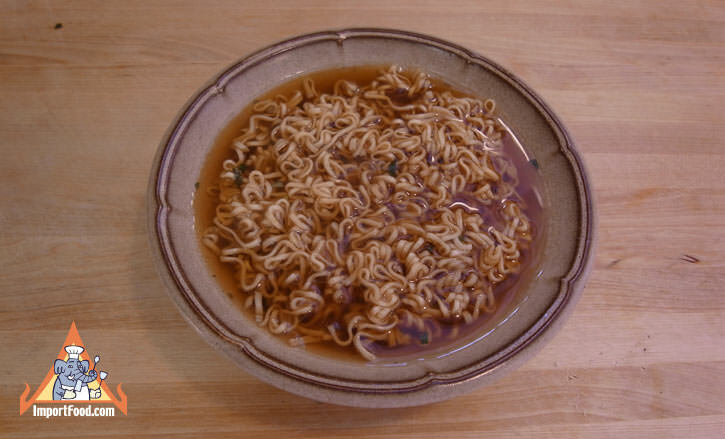 Just add boiling hot water to the noodles and spices, cover and set for a few minutes. Ingredents: wheat flour, palm oil, salt, sugar, msg, fresh garlic, artificial duck flavor (sesame oil), garlic powder, dried leek, caramel color, spices, chile powder, aciditidy regulators sodium bicarbonate, potassium carbonate, soy sauce. Product of Thailand.